The list of things to do whilst starting a business feels endless. Unlike trying to launch a project within an existing business where resources (people and finance) are often more available, when you start from scratch, that's basically what you have - scratch! This leads back to a previous blog on legal eagles (http://bit.ly/eG214v). Our man Tom at SSD has again been instrumental in keeping us fixed on the major issues that impact the business, namely intellectual property, trust structures and money laundering requirements. Considering that he is in the middle of a huge corporate law case worth a slight bit more in fees than our work has thus far cost his timely responses regarding IP laws and trust structures have been instrumental (and sometimes a little scary!) Bottom line - without the legal plate spinning we hold ourselves wide open to multiple issues and of all the plates in the circus this is the most important one to continue spinning. Development of the framework continues. We have re-evaluated our timeline of progress that will see us arrive at the launch date of July 1st - with exactly 6 months to Christmas! The intangibility of web is excruciating for non techies like myself but the web team assure us that progress is being made and within a few weeks we will have a site that is functional and in a month, able to be tested. 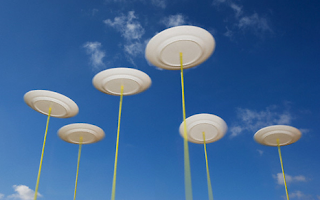 Being an online business, you'd agree that the website is fairly important as a plate to keep spinning too! The back bone of our business. Every moment spent spinning this plate reminds me of what we are fundamentally trying to do - make finance simple because boy is it complex! Mixing in all of the protection we need to offer our customers feeds through into the financial flows we need to create and again, as a consumer finance business - this is another key plate to keep spinning. We will get there, of that I have no doubt. The interim process continues to be frustrating as plates are left spinning trying not to allow any to come crashing down but that is the fun of doing something different, exciting and hopefully beneficial to all involved.